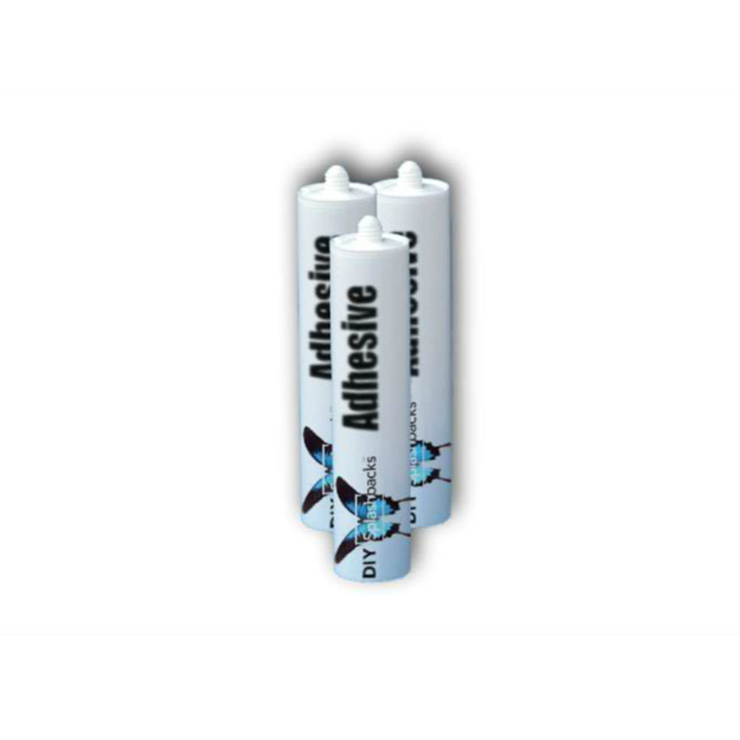 We only stock a specially selected range of adhesive for adhering our products to surfaces. This adhesive is neutral curing so that it doesn't affect the painted or printed finish. Our adhesive is carefully selected for the compounds it contains, so that colour bleed and other issues are avoided. It is unlike regular silicone sealant which can even change the colour of stone and so is an unsuitable adhesive for painted or printed splashbacks. 'Regular' silicone releases acetic acid when curing and you can notice this as it smells like vinegar. Our adhesive silicone is the safest way to adhere your splashback to many surfaces. It has been used sucesessfully by us for years.